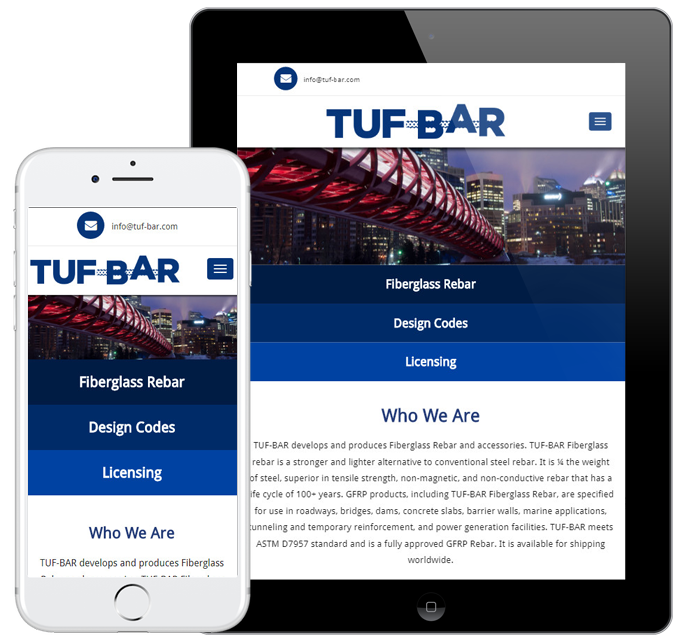 TUF-BAR is a well-known producer of fiberglass rebar and accessories across Canada and US. The company is serving the civil service engineering sector of Canada for more than 15 years and has expanded its operation all across the US now. TUF-BAR fiberglass products are known for the highest quality vinylester resin and other fiberglass components which are strictly compliant with CSA and ACI building Codes. We are collaborating with TUF-BAR on marketing and branding aspects of their business for a long time now. Fiberglass reinforcement material market being a specialized and niche market, we have found it fairly challenging to deploy a targeted campaign to attract the potential consumers in this segment. Nevertheless, with our best resources deployed, the results we have been achieving so far are not just good, they are outstanding! Unlike old days the internet is the major source of information modern consumers can depend on to make many decisions in their day-to-day lives. No matter how complex the buying process or how specialized the market, consumers are not likely to overlook the internet when it comes to collecting data or information. The problem with TUF-BAR (previously known as BP Composites) was that they never thought of promoting themselves with the online consumers in view, and so they didn't have a better-looking website, a better online presence, nor did they have any online marketing campaigns deployed to engage people with the potential to become their future customers. 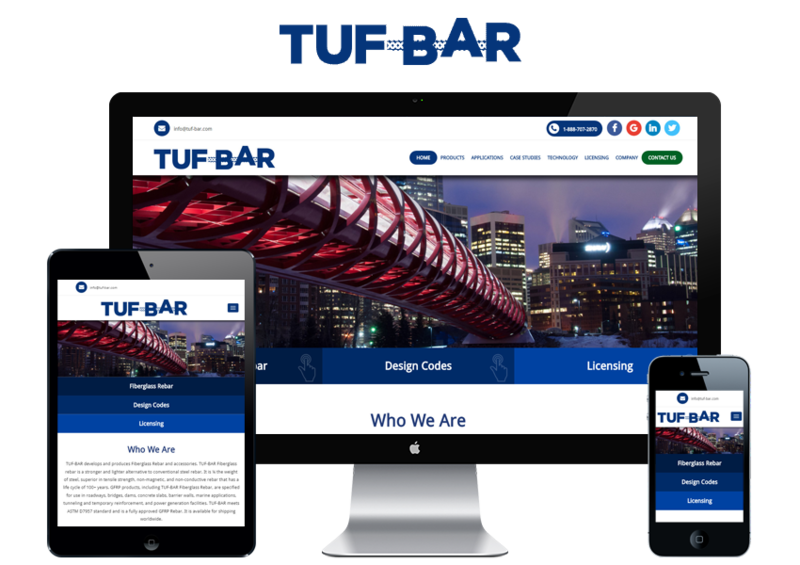 After a thorough analysis of their situation, we thought it necessary to re-brand TUF-BAR and build their website anew to give it a more professional touch and feel. Having that done, it was also necessary to develop a focused, actionable and tailor-made marketing strategy to generate relevant traffic for TUF-BAR and improve their sales and bottom line. From a branding perspective, we recreated TUF-BAR's logo to make it more compatible with their business model. We rebuilt their website to give it a more professional look and feel, and incorporated elements that were essential from both the standpoint of search engines and their target audience. From a marketing perspective, we planned, developed and launched a holistic marketing initiative that encompassed various organic and paid marketing approaches including SEO, PPC, Social Media Management and Content Marketing. The key objectives were to generate traffic, maximize ROI and increase brand awareness among the target audience. Brought their most valuable keyword “fiberglass rebar” on the top 2nd and 3rd positions in organic searches on two major search engines: Google and Bing respectively.